Stekken was founded in the year 2000. Since its inception, Stekken has established itself as a reputable and reliable producer and manufacturer of oil palm trunk injection fertilizer in the South East Asia, South Africa and South America. 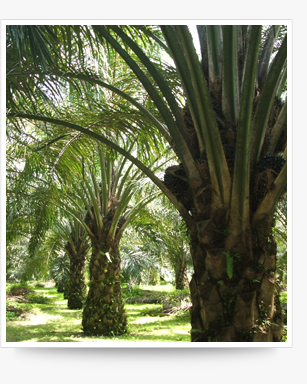 Our product offers one of the most efficient and cost saving system in oil palm nutrient management. With our vast experience in oil palm nutrition, we are able to customize our fertilizer formulation to challenge various soil and climatical adverse conditions. Due to the current climatical changes affecting crop performances in oil palm especially, the need for customized fertilizer formulation is indeed the key element in fertilizer management. Management of oil palm fertilizer is made possible for palm grown in challenging area such as; in peat soil, poor mineral soil, sandy soil, hilly, undulating, drought, water inundation areas, acidic and basic soil conditions. To date, Stekken’s Trunk Injection System has been deployed to more than 20,000 hectares of oil palm plantation. With more than 10 years of track record of yield, leaves nutrient analysis and economical study, Stekken has cultivated its name as a renowned leader in the industry rehabilitating and reviving palms grown in those problem areas.